Let Near Me Local Search show you how to maximize the value of the traffic you get from search engines. 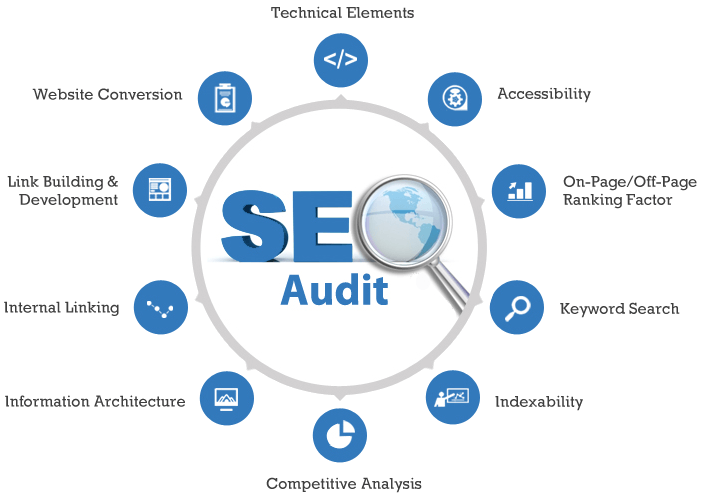 Our SEO audit services are more than just a cookie-cutter report based largely on automated software, and they’re more than just a check-list of your problems. We provide a highly-individualized SEO strategy based on detailed analysis of your website’s strengths and weaknesses as they pertain to search engine optimization. In addition to using powerful tools and comprehensive data analysis, we perform dozens of hours of manual analysis. The result of our research is a prioritized outline of action steps that you can take to increase your website’s search engine visibility. We will then present you a report diagnosing your site’s potential issues with step-by-step instructions to remedy any problems. We prioritize our recommendations so you know where to focus your efforts and what to start on first. We also explain every recommendation extensively, especially the important stuff.